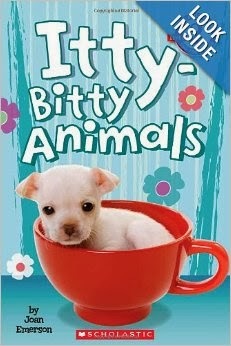 With that introduction, let me introduce you to some new easy readers which comes courtesy of Scholastic. I like these better than most because they are non-fiction and I'm ok with simple text which shares simple facts of interest to burgeoning readers. Each of the following readers are marked as being a "Level 2" which is designed to introduce "new vocabulary and longer sentences." Each page spread has two paragraphs of text. Each title also focuses on different members of the animal kingdom which also makes these books pleasant to simply look at. Each title is also marvelously self explanatory, but I'll tell you a little about each one all the same. Ugly Cute Animals This book focuses on strange and funny looking animals like sloths, red-eyed tree frogs, and orangutans. All of those animals I would argue are indeed so ugly that they verge on cute. However, the book also lists hedgehogs and llamas which I do not think are ugly at all, but magnificently beautiful beasts. 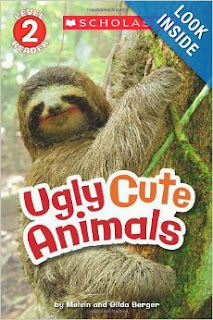 Aside from my disagreements on their qualifications of what makes an animal ugly, this book is fun. 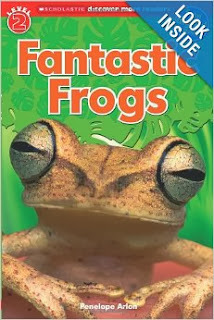 Next up, dive into the world of Fantastic Frogs (which is ever so much more tolerable)! This particular title has about 3-4 paragraphs of information on each page, although the text is larger so it doesn't feel complete overwhelming. The page spreads are also busier with more photographs which I think is not unappealing although I imagine it could prove distracting for the young reader. Learn about frog bodies, what they like to eat, understand the life cycle and learn about the different types. For a young person curious to learn more about frogs, I'd recommend this one for the photographs alone. Well, as I say, I'm not a fan of easy readers as a general rule but I didn't find these to be so bad. I definitely prefer the non-fiction and these titles are worth considering based on the interest level of the reader in question. Many thanks to Scholastic Books who sent copies of these titles in order to facilitate this review. I received no additional compensation for this post and all opinions are my own. Awwwwwwwwwwww. That was one cute pup!! If you do ever seek easy readers, we like P D Eastman, especially Fred and Ted. I'm snickering at the BOB comment! We have those things at my house. 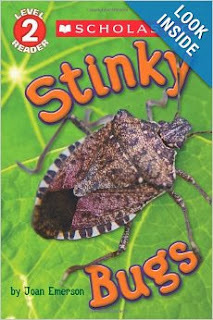 We've enjoyed several of the Scholastic Level 2 and 3 books recently. My two oldest recently fell in love with Poppleton. We'll have to see if our library has any of these non-fiction titles.